Approx. 27 handmade quilts of cast-off garments from the desert villages of Kutch in the state of Gujarat in India and approx. 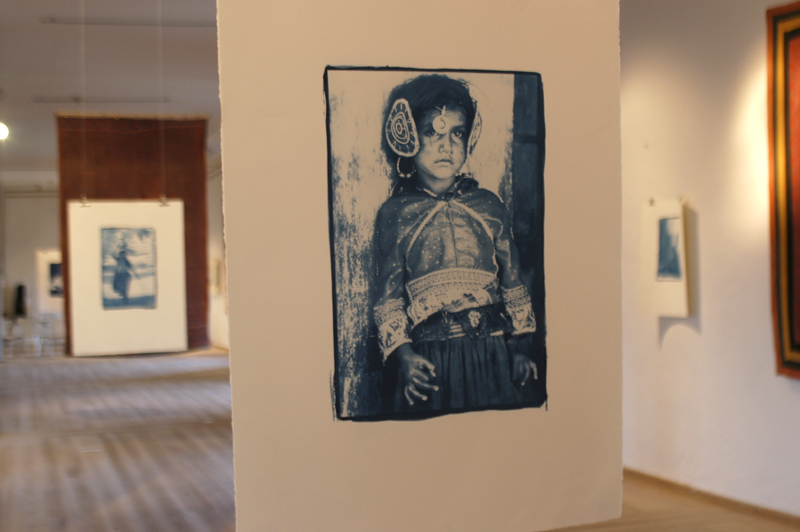 37 cyanotype portraits of the Kutchi desert women and their children, contact printed on hand coated Fabriano Artistico hot pressed paper from negative size approx. 13 x 18". 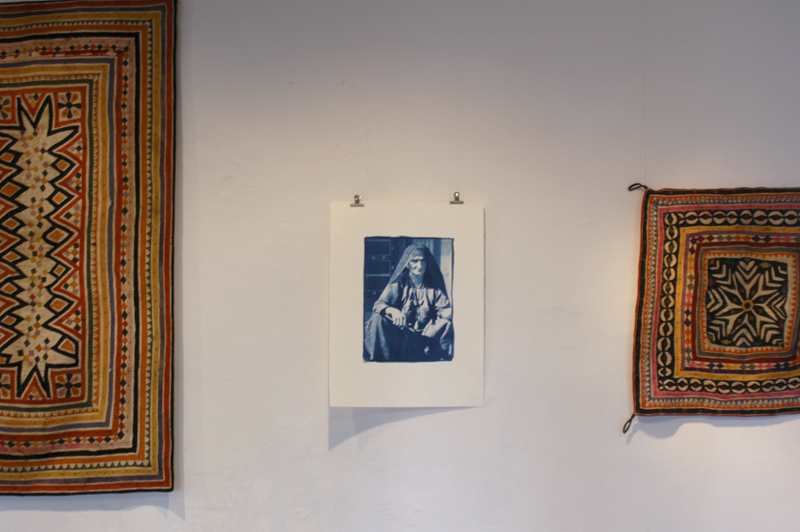 This is an audience-friendly exhibition aiming at every age group. 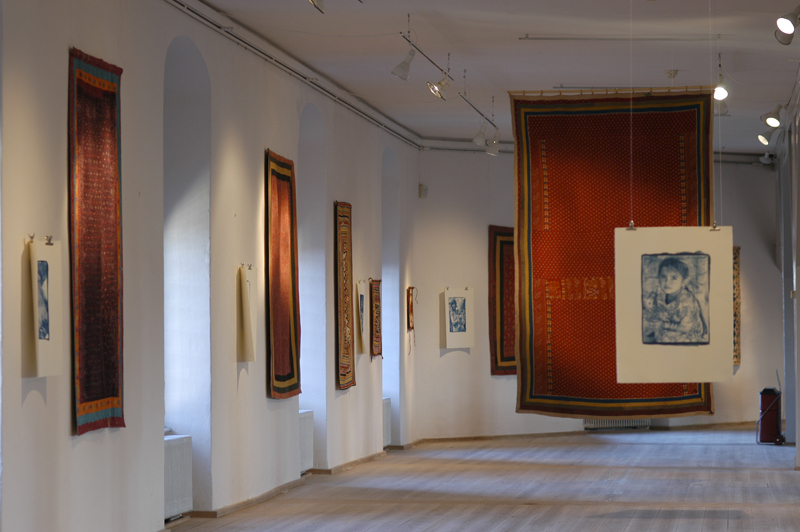 Shown first time in Copenhagen at Møstings Hus in 2000. 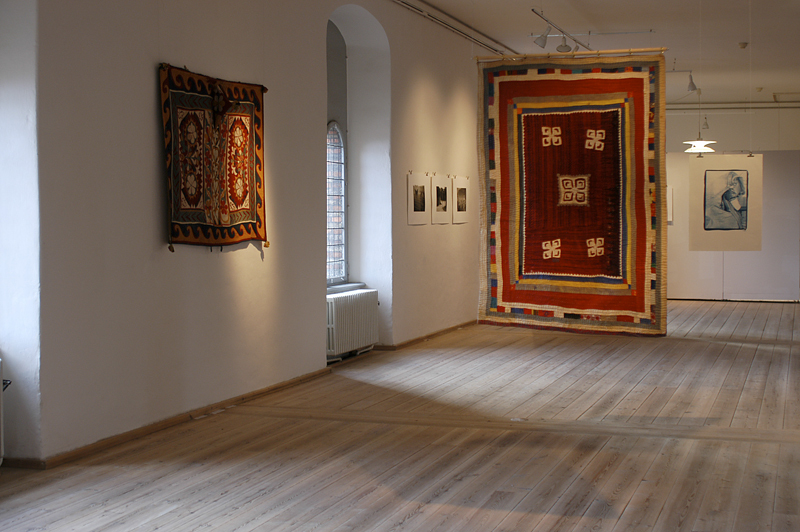 It has been on display on several locations in Denmark and also in Sweden at the Röhss Museum for Applied Art & Design in Gothenburg Sweden during 2006.